Welcome to PG Minor Basketball Association! Maintain a child-centred focus. Remember, children are involved in organized sports for their enjoyment, not yours. Teach your child that honest effort and hard work is just as important as victory. Remember that children learn best by example. Applaud good plays by your team and by members of the opposing team. Encourage your child to always play by the rules. Accept your child's mistakes and disappointments with positive reinforcement. Respect and show support for the volunteer coaches and officials who give their time to provide sport activities for your child. Help your child understand that individual skills and achievements are more satisfying when applied to a team situation. A skilled player is only an asset when he/she is also a team player. Please check out the Steve Nash Youth Basketball Association's Parents' Guide. It includes information like the philosophy of the League, how to actively support your child, how to communicate with your child and your child’s coach, Parent and Player Codes of Conduct, and long-term athlete development. Remember, children are involved in organized sports for their enjoyment, not yours. Applaud the efforts of both teams, regardless of the game’s outcome. Support the efforts of all participants regardless of mistakes they may make. Encourage players to follow the rules and abide by the officials’ decisions. Support the efforts of coaches, officials and administrators. Use appropriate language at all times. 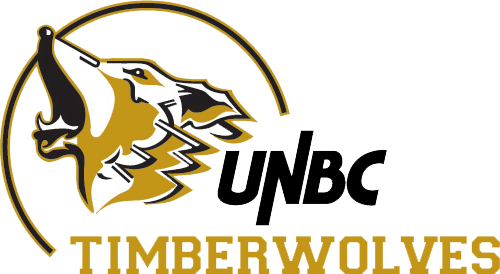 We love to support our UNBC Timberwolves Basketball Teams! PGMBA teams are invited to play at halftime of the UNBC women’s and men’s Timberwolves games throughout the season. Your son or daughter’s team will play at 1 or 2 halftimes this season. Click here for the schedule. The women's games start at 6:00pm on Fridays and 5:00pm on Saturdays. The men’s games start at 8:00pm on Fridays and 7:00pm on Saturdays. Games are at the Northern Sports Centre. Players should wear their PGMBA jersey and bring their indoor shoes. Players and one family member get in free to the game. Anyone else who would like to watch will be asked to pay regular admission ($10 for adults, $6 for seniors/students/alumni, $5 for youth 6-12and free for children 5 and under). Just let them know at the ticket counter as you come in that you are with PG Minor Basketball and will be playing at halftime. The PG Minor Basketball section is in the first set of bleachers, in the front rows. Look for the PGMBA banner. When there is 3 minutes left in the first half, gather down in the front row to get ready to go on at halftime. Playing at halftime is a fun experience and a chance to watch some exciting UNBC basketball!